According to the Small Business Association (SBA), small business bankruptcies increased from 19K in 2006 to 43K in 2008, before the economy crashed. Since small business employs more Americans than any other sector, ways to avoid financial trouble should be of paramount importance in today’s private sector. From general best practice, such as hiring a qualified CPA, mastering your market niche, and staying revenue-focused at all times, you’ll want to adhere to sound fiscal practices. Thriving businesses are smart businesses. You would think that this is common sense; however, many business owners fail in rudimentary management tasks every day. For those that don’t know, here are five practical tips on how to make your business bankruptcy proof. Stay in the know about your personal rating, the ratings of your business partners, and the rating of the company itself. Check often with your vendors and lenders to make sure that you’re in good standing. Any discrepancy could cost you a line of credit if and when the business runs into trouble later. Don’t invoice your customers, accept checks, or allow them to run tabs. 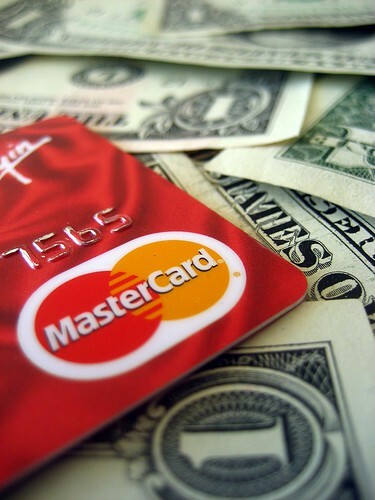 Accept credit cards so that you can get your money from the credit card companies and pass the collection buck to them. Accept all major cards to avoid excuses or exceptions. Don’t be afraid to micromanage labor and materials costs. They can and have severely compromised businesses of all sizes in all industries at one time or another. Just ask General Motors! Avoid over-hiring or overworking those you do hire, and stoke competition among your vendors by making it known that you’re using their competitors, too. If they think there is a strong chance that they might get passed over, they probably won’t risk it by overcharging you. Any strategic planning for your business should have a detailed financial map of exactly how to get there. Work out first-year, 5-year, and 10-year business plans. An understanding of your market should allow for these projections, and all plans for your business should be tied to those projections to the penny if possible. This is the bane of all small business owners. It’s hard not to put a little in your pocket when your baby finally starts making money. Avoid this by setting up separate accounts for your personal and business expenses. A great example of this is the restaurateur who takes a free beer every night. At the end of the year, that’s a $2,000 beer. That kind of money is a serious hit to any mom-and-pop operation. Remember, think of it as your business and someone else’s money! In today’s economy, running a business and staying out of debt may seem impossible, but it can happen. If you’re already in debt, draft a plan to pay off smaller loans and backlogged bills first. Then, tackle your larger loans – it might take a few years, but having a plan in place will help your goals come to fruition. If you are not yet in debt, grow your business slowly and only as you have the funds to proceed. While it may be hard in the short term to take things slowly, it will pay off long term. If a rough patch hits your business financially, you’ll be able to withstand the impact much better as a debt-free company.